The Platinum Standard in HD Multimedia. 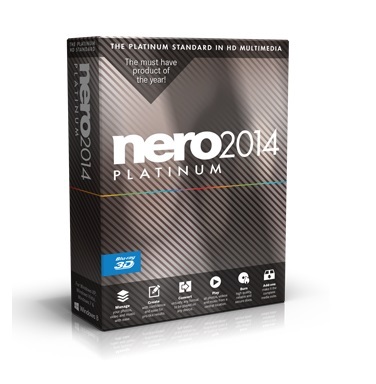 Take a closer look on the new features of Nero 2014 Platinum. NEW! Now stream movies to your TV with 1-click and control them via your TV’s remote control right from your couch. NEW! The cool new feature Slideshow to TV lets you stream your very own high quality slideshows with one click through Nero MediaHome to your TV including themes, effects and music. NEW! Now with Nero Disc to Device take video discs and Audio CDs on the go easily. I’d love this software. I have a really old version! Pleas count me in !!!!!!!!!!! Would love to win this!! Thanks for the awesome giveaway!! My email address is nikkibecker73@yahoo.com. Nero… Ever the Best !!!!! Yes sir, count me in!! A high quality giveaway. Please count me in for the drawing. 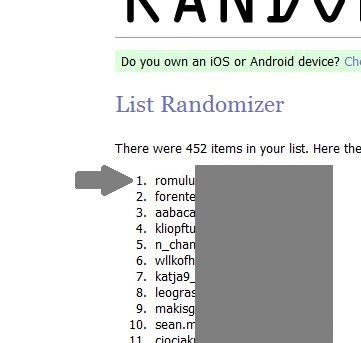 Thank you for hosting the prize draw. I have been using nero since version 4 came out and am still using version 9 on my current pc. Here is hoping for an upgrade! I have been using Nero for many years with great results. I bought 2010 version last. Would love to have the upgrade. Thanks. 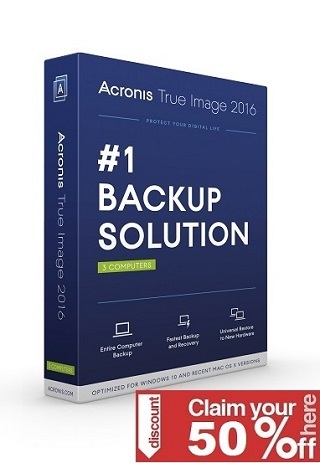 Okay, the first thing I’d practice is transcoding and sending to discs with one click. Hi please count me in. Already Subscribed!!! TOP!! Excellent software from Nero, this is not just a program for recording CDs, but also a harvester with great potential! So please include me in the drawing! Thanks for this giveaway. I really hope I win the license! good one, hope I get lucky ! Another great giveaway! Please count me in. Great program. Thanks for the contest. Thank you, count me in, please! Please count me in. This is a super product. Count me in. Thank you ! Nice giveaway. Please, count me in. Great giveaway. I think this is a great opportunity. Great giveaway. Thanks,count me in. Please count me in too for this Software Giveaway. I wish to win this Giveaway. Great! thanks and count me in please! Already subscribe and great software….. hope to win. Excellent giveaway! I hope I am lucky this time! I followed on both fb and twitter but due to technical difficulties I could not share it. thanks for a great giveaway,its realy a very good news for all who wants this,please enroll me i also want to be part of this giveaway. Great soft & giveaway .Thanks . Would love to win this, the best! Thanks for the contest. Please count me in. thanks and count me in for this giveaway! Thank you very much and please count me in. thanks. nice offer. count me in! This would be great to have! Looks awesome! hope to win this time! count me in! thanks! Please count me in. Thank you for the generous giveaway. Thanks for easy burner soft.Please count me in. I’d love to use this for tons of features but the video editing would be great with all kids videos. followed all the steps and followed facebook, twitter shared and subscribed to email. I followed on fb as liz meyers, and @adroitness on twitter. Fantastic offer! thanks and count me in! wow! amazing offer! thanks and count me in! Thanks for the chance, this would be awesome to win! My favourite soft for burning discs, though I used the Burning Rom version. thanks for this great offer! count me in please! Thanks Appfound, great giveaway. Please count me in. Sure, could always use a license. Please and thank you. thanks a lot! count me in. Hello, What an EXCELLENT giveaway. Please, give me Nero 2014 Platinum! fantastic offer appfound! count me in! where are my comments? I also am participating!! Great software ! Please count me in. thanks! nice. nero is very good. thanks! count me in please! great! thanks a lot! count me in please! thanks for this giveaway! good luck! Ohhh I would love to try this! Nero is still an amazing software. Really a great contest, please count me in. Thank You!!! very nice! thanks and count me in! great program! count me in! thanks! thanks and count me in!!!! count me in please for this giveaway! thanks! wow!!! nice offer! count me in! Wow, thanks for this nice giveaway. Please count me in. Be the best with the best ! I think this is a great software ! Thank you ! count me in appfound! thanks! Thanks for his giveaway. please count me in. Wow. This is a really great giveaway. Hope I win this one. thanks for this giveaway! count me in please! Count me in!!! Thanks for this great giveaway! Nero is the best! count me in! I like Nero, so I hope i win. Please count my in. Nice contest, please count me in. Thank you. Nero Platinum is a fantastic software, please put my name in the contest. Thank you. thanks! count me in! great! count me in! thanks for this giveaway! Hello. I just do not know the reason why, A few day ago I have posted my comments together with a link to my tweet of this great giveaway. After posting it, I saw the “comments awaiting moderation”. Now, I checked my post and it is gone, it has vanished. I do not want to post a double post which will invalidate my subscription to this giveaway. This is only a post to let you know my personal situation as to the participation in this giveaway. Would you be so kind to let me know the procedure to follow? For your record, I have subscribed to your newsletter long ago. I am a newsletter subscriber. Awesome software for video editing! Great giveaway! I follow you on Facebook (Les Johnson). Excellent Giveaway. Awesome tool with awesome features. Hope to be Lucky this time. thanks appfound! count me in! I thought I entered this one time but I don’t see my comment. My son wants to start making his own videos I think this would be great for him. Thanks for the giveaway! count on me, please. thanks! count me in! nice! subscribed to your email, thanks for the chance. thanks! thats a great offer! NERO sounds like a very cool new product that I would definitely like to win! I really need this. I am currently using Nero7!! Thanks and count me in!!!!! WOW!!! Great offer! thanks and count me in please! count me in please! thanks appfound! Whoa. This is super cool. TV streaming is the way to go!